Citrus colors and tropical imagery are everywhere right now: we’re all flinging ourselves towards summertime as fast as we can. Pineapples, citrus, and cacti are top on my list for bringing in that hot, summer vibe. Anything that helps get us in that summer spirit is a bonus if you ask me! Even if we don’t live in the tropics, you can embrace some of the vibe around your own neighborhood with these colorful projects. Make some retro fabulous planters, citrus bags, fruity dishes, and more with these DIYs – you’re bound to feel more summery in no time. 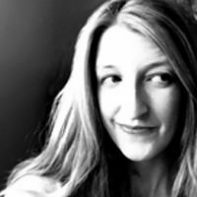 I love cacti, but I’m always a little leery of those spiny bits – I’m a bit accident-prone, and then, of course, there’s the kid and the dog. 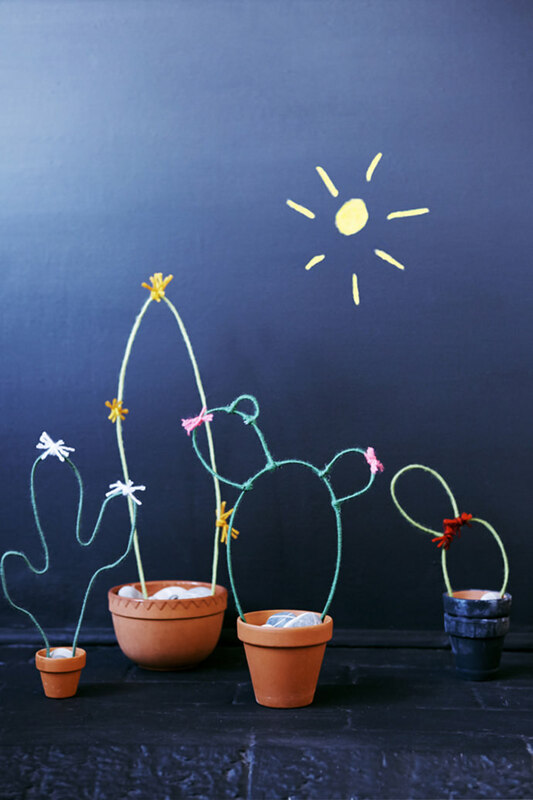 If you’re the same way, then these wire cacti are the perfect solution. 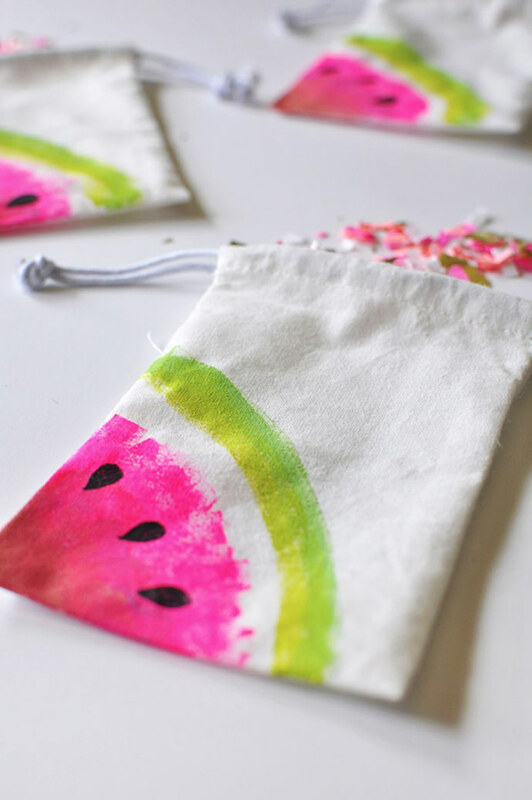 These make adorable treat bags, of course, but you could also size up onto any canvas tote bag for the juiciest summer carryall. 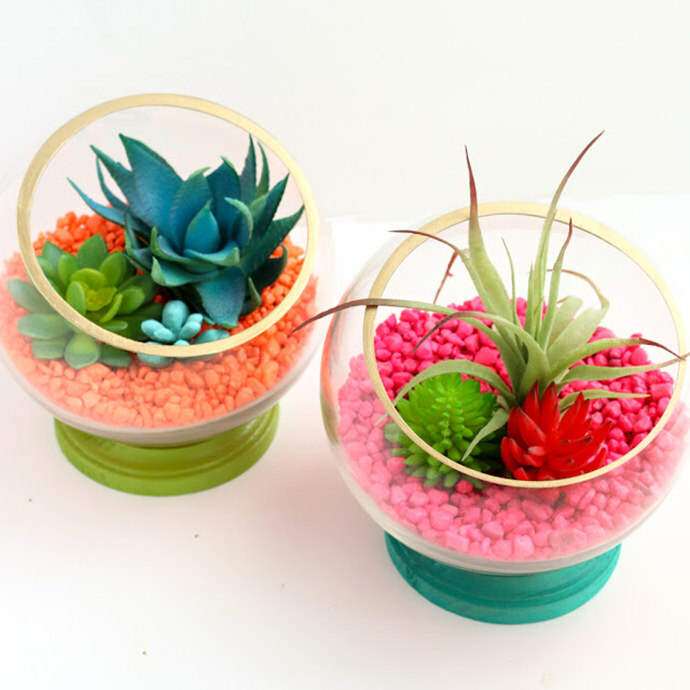 Who knew a little gold trim and some aquarium rocks was what we need to upgrade our terrariums? This is a quickie project with some big personality! 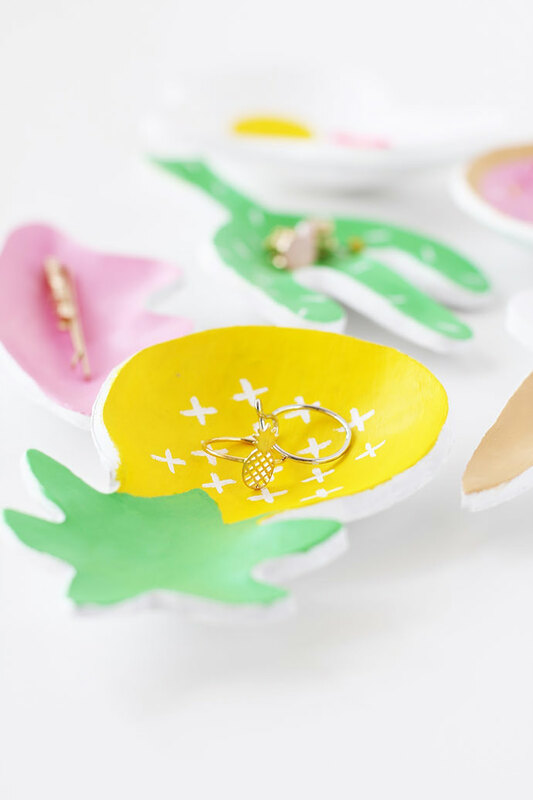 What could be cuter than a dresser top full of these bright and happy dishes? And you’d be organized at the same time! Embrace fruit literally by printing them onto your favorite material. 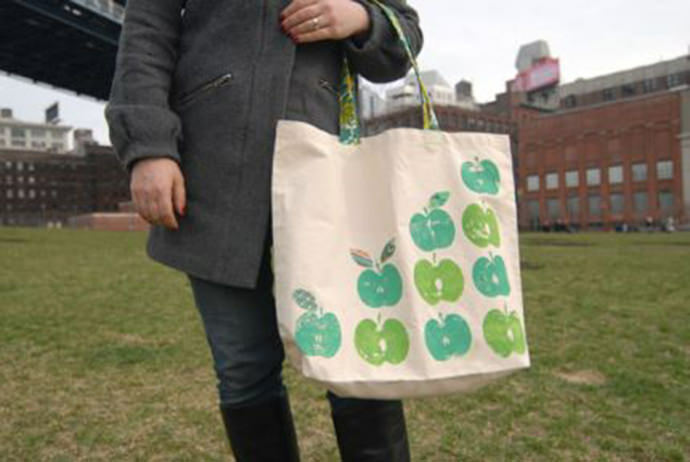 This apple tote is adorable, and you could use citrus too – what about printing the same pattern onto some pillows? 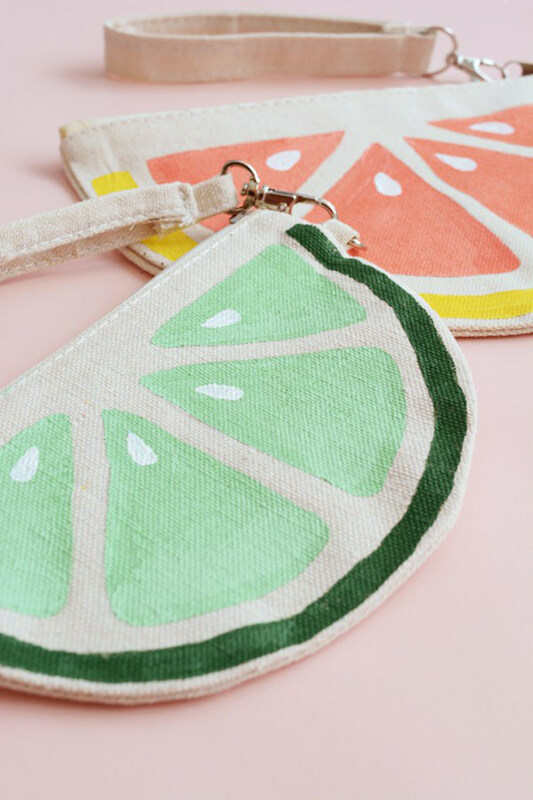 Pictured at the top of this post: Citrus Slice Bag, tutorial via Oleander + Palm.